This powerful portable 26 volt aircraft starter unit is a full 26VDC battery Twin Pac and will provide superior starts on all electrically-started turbine engines. This versatile Twin Pac can be used as a single unit or separated for two complete units that can be easily carried on board different aircraft. 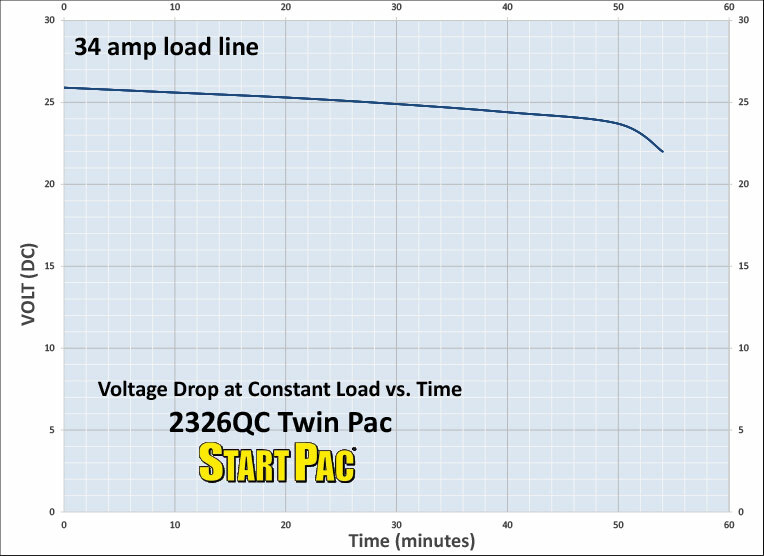 The 2326QC Twin Pac has redundant chargers with a total of 14 amps output and a recharge time of approximately four hours from being depleted. This unit is designed for engine starting only. NOTE: When storing the Start Pac® for more than 30 days, remove the battery box from the charging unit and store separately. All Start Pac™ products come with a 1-year warranty on workmanship and materials. 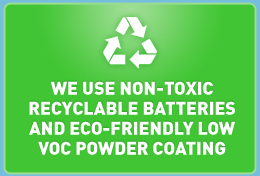 Batteries are cycle-dependent and therefore are not covered under this warranty. Batteries have no memory effect and can be recharged at anytime. Made in the USA. 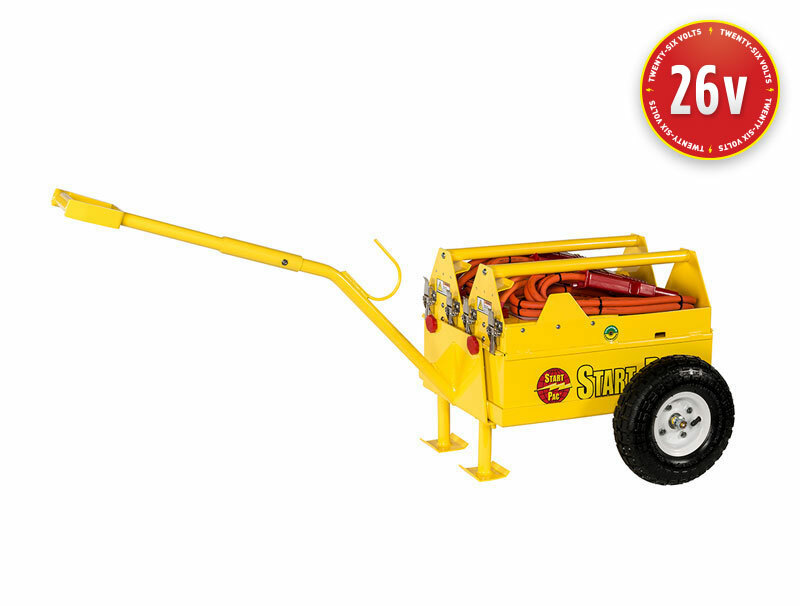 Start Pac also offers a wide selection of ground power units and starting units for portable power and portable power supplies, such as the classic yellow aircraft starter unit. Browse our website to discover our extensive product line or visit our tutorial section to learn more about our power supply products. Have a question or need assistance with your order? Start Pac provides customer service support via phone and email, making it easy to find the yellow GPU or railroad locomotive starter unit you’re looking for.